Craving a pizza this weekend? Whether you’re hitting the town or planning to have one delivered to your house for a night of Netflix and noshing, you want the best of the best. 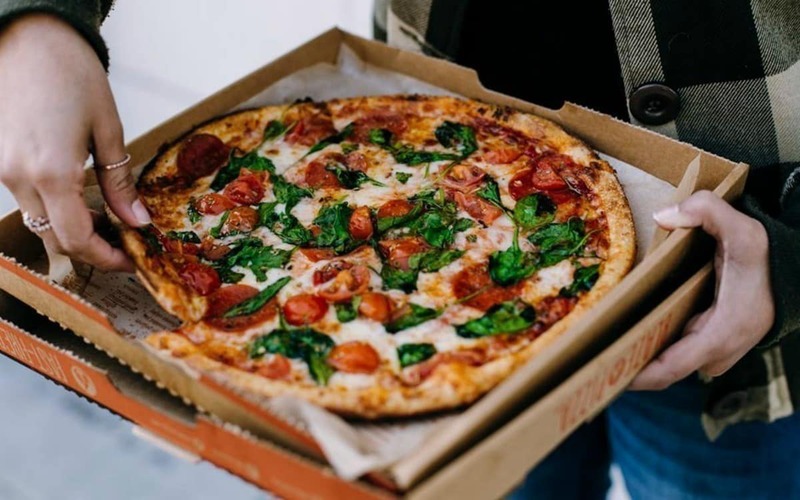 Toyota of Orlando has compiled a list of our top five pizza places in the City Beautiful so you’re ready to kick off your weekend! Which Orlando pizza place is your favorite? 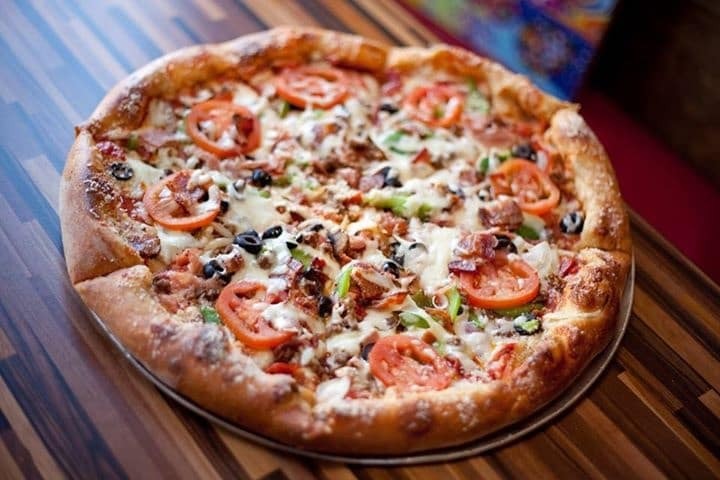 Mellow Mushroom offers a little bit of everything – and you should try a little bit of everything – but don’t miss out on their pizza, which is the highlight of their menu. They offer a wide variety of pies including the Great White, Kosmic Karma, Buffalo Chicken, Mighty Meaty, and Veg Out. You also don’t want to miss menu items like the fresh, hand-twisted pretzels or the tempeh hoagie. You’ll find plenty of vegetarian and vegan options alongside all the meat choices, and the ambience takes you straight back to the 70s – think tie-dye and classic rock. 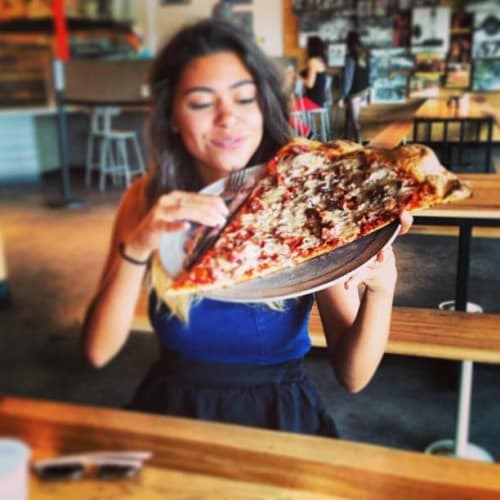 There are 3 Orlando locations for this pizza place – I-Drive, E. Colonial by UCF, and Aloma Ave. in Winter Park. 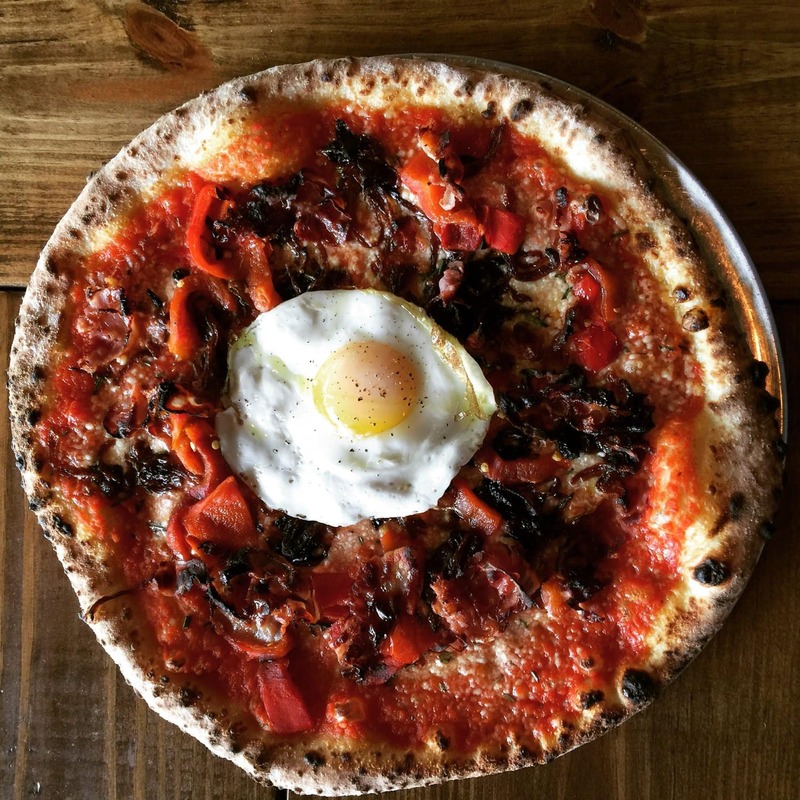 This pizza place specializes in Neapolitan pizza and although they don’t deliver, it’s worth the drive (wherever you are in Orlando) to pick up the in-house takeout. They offer amazing pies like the Margarita, Blanca, Clam Pie, Viva Verde, and Five-Ohhh. You can also opt for interesting appetizers like octopus, a charcuterie board, and wood-fired cauliflower, but don’t miss out on the garlic knots – they’re legendary. You’ll also find beer and wine available and vegan options if you’re doing dairy-free. Pizza Bruno is located on Curry Ford Road in the Hourglass District. Brick and Fire Pizza may serve amazing pizza but their menu is vast – you’ll also find wings, different types of bruschettas, salads, pastas, and more. Back to the pizza, though. You’ll have seemingly endless choices and be able to choose from pies like the Herbivore, the Capri, the Brick and Fire Hawaiian, the Steak and Bleu, the Angry Goat… the list is ages long and there’s truly something for everyone, even if you’re not feeling pizza. This pizza place is located on Orange Avenue in downtown Orlando. HUGE. JUST HUGE. 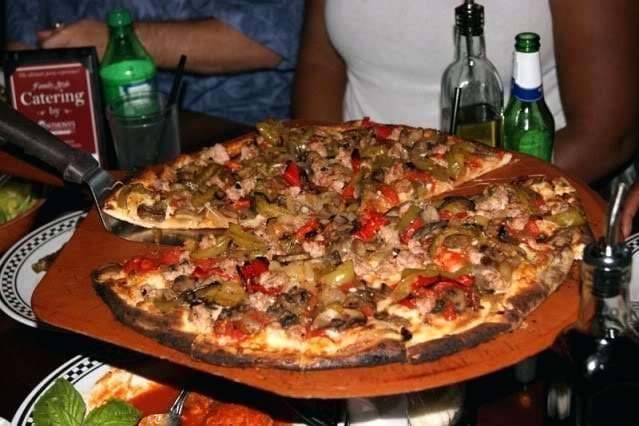 You won’t believe the size of the pies at this local Orlando pizza place. You’ll need both hands to carry the pan (if not another person altogether). One slice will usually suffice but don’t discount a fresh-baked pie. You’ll have plenty of options including the Treehugger, Down Home, the Buff, and Chili Slice. You can also build your own pies and there are a ton of vegetarian and vegan options plus craft brews on draft. This pizza place has two locations – one near downtown on Colonial and Mills, and one on University near UCF. Blaze Pizza has multiple locations, including one inside Disney Springs (so you know it’s good). It’s a BYO pie place, but there are so many options it’s hard to build just ONE pizza. (Wait until you see how many cheeses they have.) You’ll have gluten-free and vegan options up for grabs as well as salads, desserts, beer, and wine. Plus, there are three locations when it comes to this pizza place – the aforementioned Disney Springs location, one in Winter Park, and one located near UCF. Whichever pizza place you choose, we hope it’s good – enjoy your weekend, Orlando!